A new hologram display at Alice Springs Telegraph Station celebrates the pioneering spirit of those involved in one of the great engineering feats of the 19th Century, the construction of the Australian Overland Telegraph Line in 1870. 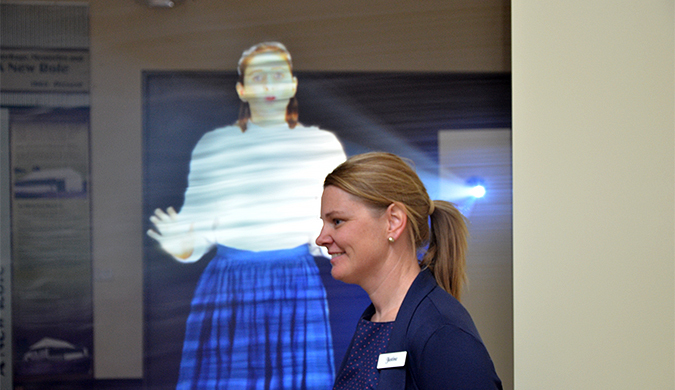 In an Australian-first, new tourism displays using the latest 'mist holographic technology' tell the story of the Northern Territory's key role in connecting Australia to the rest of the world. Doris Bradshaw, daughter of the fifth Officer in Charge of the Alice Springs Telegraph Station - describes what life was like in a remote telegraph station in the early 1900s.